When my sons were born, I knew that someday they would leave the nest and go wherever the Lord led them. 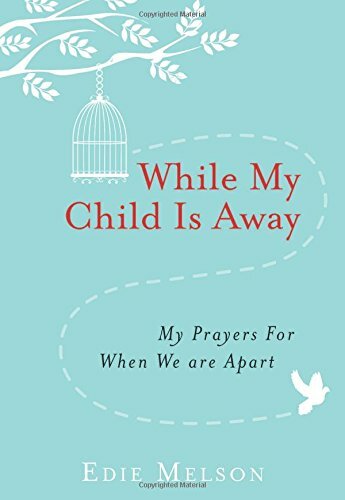 Now, with one son having flown and another on the verge, I have been wondering how I can become a more effective prayer warrior. I don’t think a mom’s job is ever done because her heart is always bound and poured into the lives of her children. Plus, the more one sees, hears or experiences in today’s society, the greater the spiritual battle seems for the hearts of this generation. Therefore, what an aid is While My Child is Away to parents even grandparents in praying for their grown children/grandchildren. The book is also a devotional that helps anyone who uses it to see how God worked in another family and to take courage or receive hope. Sometimes there are words of wisdom shared on the page and other times a Scripture verse. 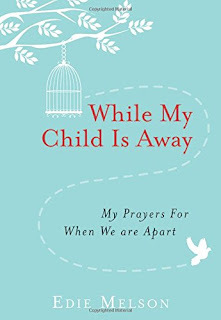 Maybe readers can consider using this book in a small group to help encourage each other going through the season when children are leaving home. There is power in prayer and I believe we gather strength when we pray together. If you use this in your private time with the Lord, you will be helped also in knowing what to pray for and/or maybe how to pray for the young adult facing the world. Now more than ever we need to be praying for our children to stay the course, walk closely with the Lord and be able to stand firm when the adversary comes against them.